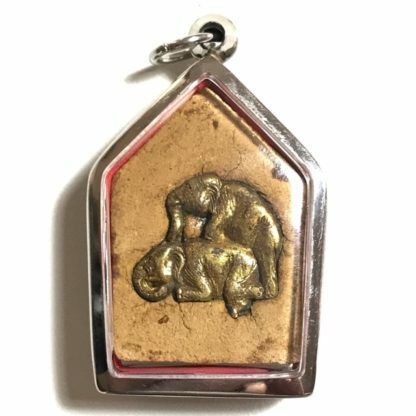 Pra Khun Phaen Saen Sanaeha Hlang Chang Prasom Khloeng (Khun Phaen with Mating elephant-lady on rear face), first edition amulet in Nuea Wan Maha Saneh (seductive attraction herbs and magical powders of 108 kinds, Chup Nam Man Aathan Khom (soaked in Khmer magical oil), from the Great Luang Por Say, of Wat Nam Wijit.. 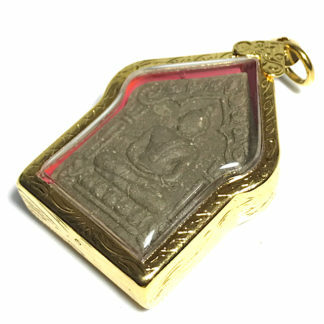 The Chang Prasom Khlong elephant Love Deity on the rear face were made from smelted metals of ancient Chang Prasom Khlong statuettes. 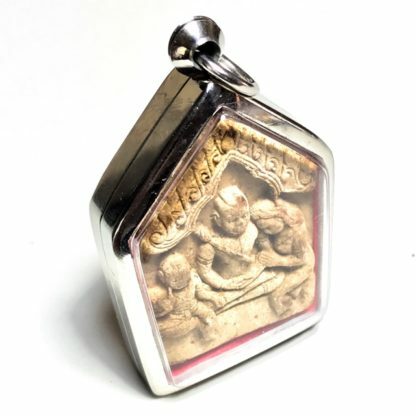 Ngern Bpaag Phii, Hlek Khanaan Phii, and sacred metals with Chang Prasom Khlong Yant inscribed on them. 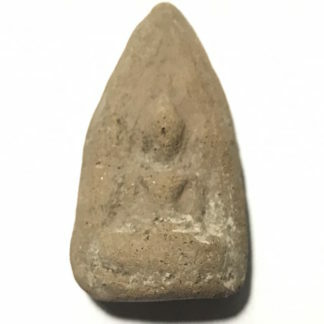 ‘Tapu Loeng Sop’ Coffin Nails, Yant In Ma, Yant Paya Hongs Tong (golden Hongsa bird), and Yant Metta Yai. All of these metals were smelted together in a magical empowerment ceremony with incantations, and forged into the In Ma Deity of Love and Passion. 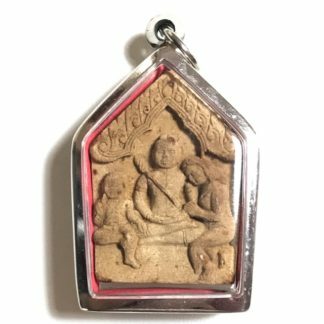 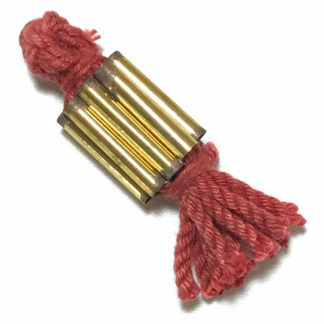 The amulets were empowered again using the Kata In Ma and Kata Chang Prasom Khlong 108 times, and then they were inserted into the sacred powder amulets, which were then soaked in sacred charm oil from an ancient Khmer source. 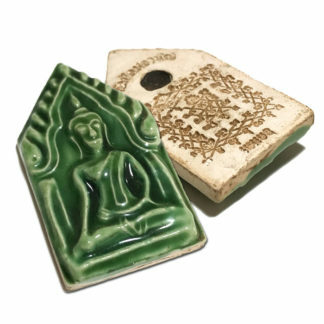 The Muan Sarn ingredients of this amulet are immensely rich. 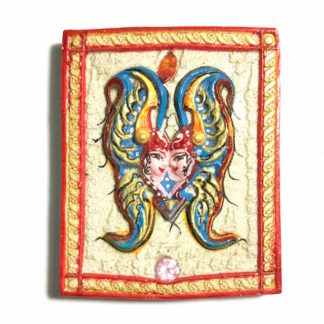 Pure enchantment and dominion against those you wish to enchant or seduce. 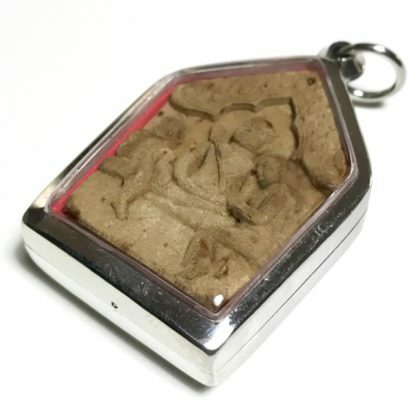 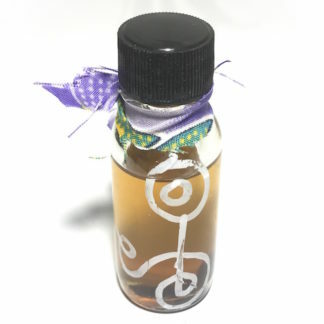 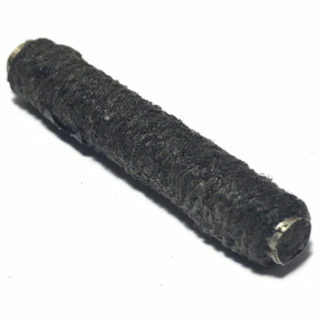 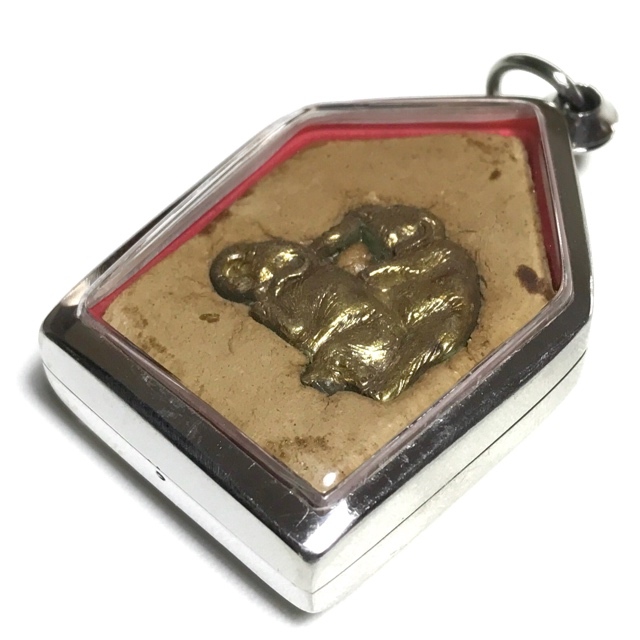 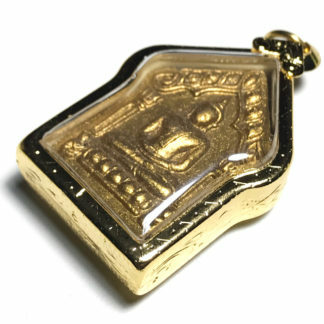 Powerful sacred powders and magical incantations combine to make this a one purpose Love and Mercy Charm amulet, which has great power for its chosen purpose, and does not distribute the magic into any other area. 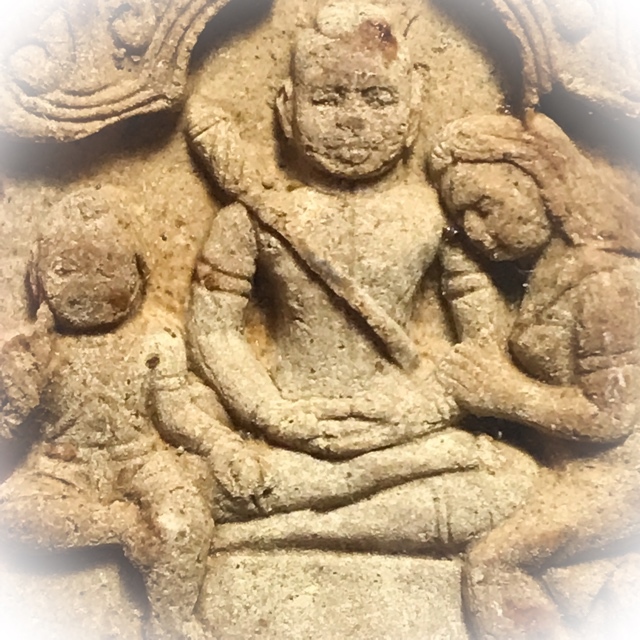 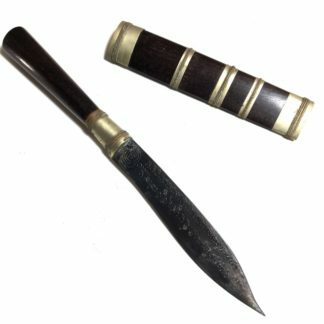 remaining focused on the Amorous, and Seductive aspects of life, to seduce for both amorous and business purposes, as well as to gain promotion opportunities, and receive merciful treatment. Luang Por Say is a Master Geji Ajarn with a vast compendium of Wicha which he received during his earlier years on Tudong ion the forests with his Kroo Ba Ajarn, many of whom were the Great Master Sorceror Monks of that Era. 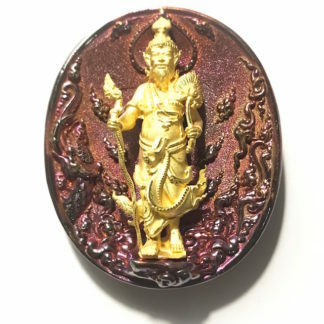 His Wicha Metta Maha Niyom Maha Sanaeh is extremely renowned for its power of attraction and seductive influence. 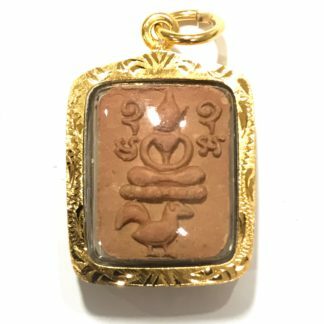 Luang Por Say performed individual blessings and empowerment on each individual amulet, one by one, which made for a very long time to finish the empowerment of all the amulets. Luang Por insisted on performing single empowerment for each amulet. 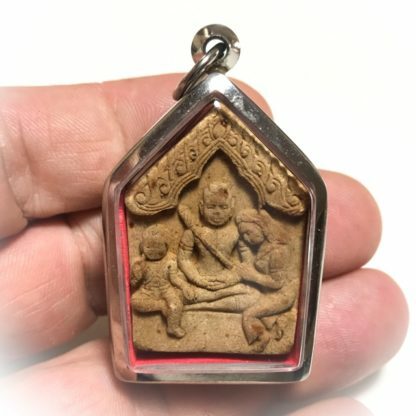 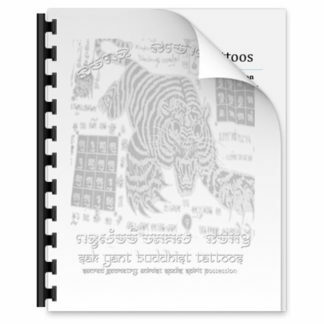 Luang Por remained faithful to the formulas of the Dtamra Saiyawaet Grimoires of Sorcery, and made the amulets in bhis own original fashion, without copying the style of any other Master. 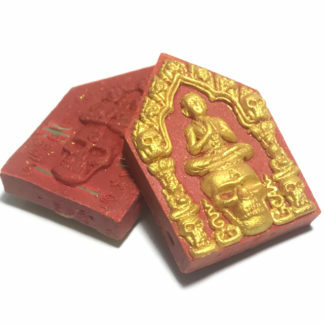 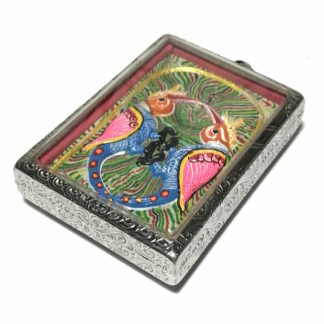 The Muan Sarn Sacred Powders of this Ongk Kroo amulet are highly concentrated Prai Maha Sanaeh Powders, with immense power of attraction imbued within them.